CALLS for the Scottish Government to invest in Shetland’s aging inter-island ferry fleet have become louder after two services had to be suspended due to technical failures over the last two days. On Monday morning the Bressay service had to be suspended after the Leirna developed a fault with her Voith thruster system affecting the steering of the ferry. Ferry operations manager Craig Robertson said engineers managed to get to the bottom of the problem, with the service resuming later in the morning. 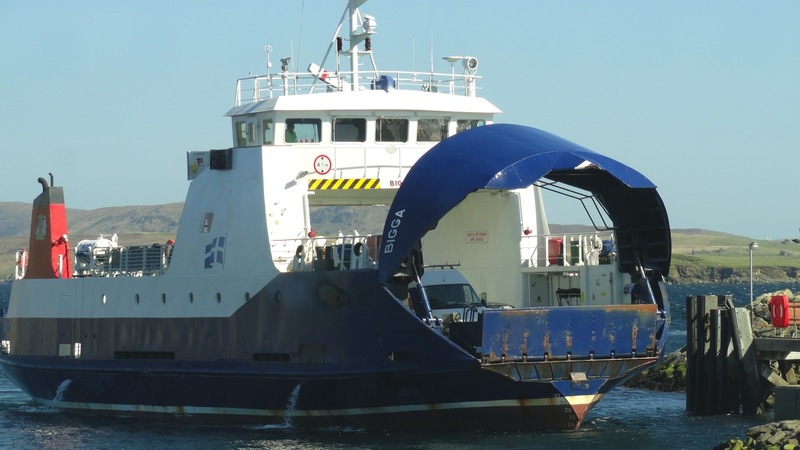 On Saturday evening the Bluemull Sound between Yell and Unst was suspended for a period of time after the ferry Bigga developed a problem with the ramps of her visor. After inspection it was decided that work to fix the problem could be done during her scheduled maintenance period on Monday. Taking to social media, Thomson said millions of pounds of taxpayers’ money was going into the maintenance and repairs of the inter-island ferry network. Thomson got instant support via Facebook from eight of his fellow councillors. Last week, public spending watchdog Audit Scotland reminded the Scottish Government of a commitment it made back in 2014 with regards to funding council ferries. Audit Scotland said: “Transport Scotland has been discussing the future funding of inter-island services and assets with Orkney and Shetland councils for about two years. Councillors and officials are travelling to Edinburgh later this week for high level talks on inter-island ferry funding with the Scottish Government.